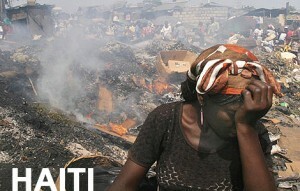 You are here: Home » Non-profit » Help Us Help Haiti! On January 12, a magnitude 7.0 earthquake struck Haiti just outside the capital city of Port-au-Prince. The devastation – in lives lost, property destroyed, and families displaced – is immense. To help raise money for these poor people in Haiti we’re giving away $75 USD Adwords vouchers for each donation of $25 USD or more made to the Clinton Bush Haiti Fund. The vouchers are only usable for Adwords no older than two weeks. If you feel like helping out, and at the same boosting Adwords profits by getting $75 USD ad spend for $25 USD. Please complete a transaction at the Clinton Bush Haiti Fund and send us a screenshot of the completion at info@premiumclicks.com and we’ll send you the voucher the same day.